At this university, mental health is no longer getting swept under the rug. A campus organization is spearheading a campaign to improve coordination between different mental health and suicide awareness groups at UCLA. 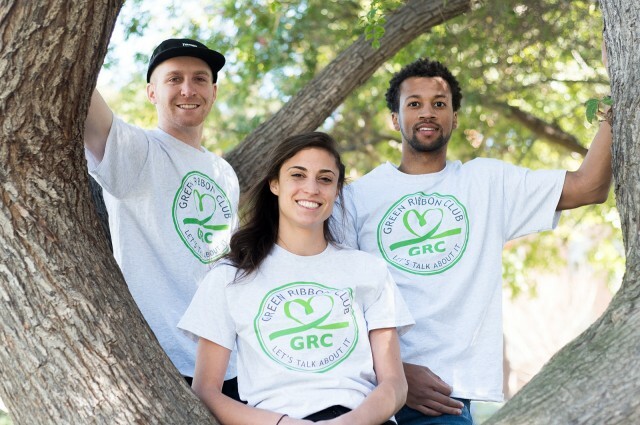 The Green Ribbon Club hosted a Mental Health Leadership Conference on Apr. 17 to foster collaboration between campus mental health organizations. Attendees for the conference included representatives from the Graduate Student Resource Center, the Semel Institute for Neuroscience, the Arthur Ashe Student Health and Wellness Center, and several student groups. The ultimate aim of the club, which was founded in October by Brian McInerney, a graduate student in public health, is to destigmatize mental health nationwide to lower suicide rates in the U.S.
Several members of the group said they think mental health organizations on campus have historically struggled to collaborate in improving mental health awareness. Emily Cornell, a graduate student in public health, said she noticed the many mental health awareness groups on campus did not coordinate their campaigns. McInerney said he thinks many individuals rally around mental health issues but often do not take any tangible action. “No matter how much money you spend on these different organizations, there is a cost if groups on campus are not united,” he said. McInerney added he thinks it is important for groups to openly communicate about mental health to help prevent suicide. Lamar Hayes, a graduate student in public health and a member of the Green Ribbon Club, said his struggles with mental health stemmed from difficult experiences he went through growing up. Hayes said he does not think mental health and suicide are topics that should be swept under the rug and hopes to help individuals become comfortable with discussing these issues openly. McInerney said he thinks UCLA has been extremely helpful when it comes to providing support and resources for students who struggle with mental health, but students still do not openly discuss mental health. He added he thinks the campus needs a space where students can be open about what they are going through.